Fox Pest Control is the #1 Rochester pest control & extermination company. We have over 22 years experience, and have helped over 40,000 homeowners and businesses with rodent extermination and other pest control. Read on to learn why we are the top choice for pest control in Rochester, then pick up the phone and call us for same day help with your pest problems. Rodents also need to find places and objects to grind their constantly growing teeth down on, as they are always growing, and the wood in or around your Rochester is the perfect material to do so. While some rodents may be less physically threatening than others based on their disposition, all rodents pose a threat once inside your Rochester home. They may be carriers of diseases, bacteria, and viruses and the presence of rodent feces and urine can also pose a health risk to you and your family members if it ends up on your countertops, floors, and cabinets. 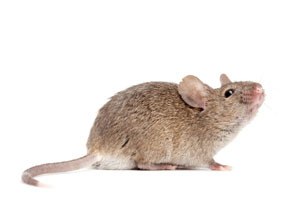 Also, some rodents such as mice or rats can procreate at a very alarming rate, in which you could end up with thousands of new creatures in your home within just a year by how quickly they can reproduce if left untreated, necessitating professional Rochester rodent control.